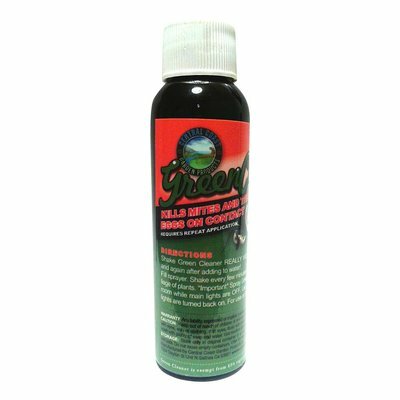 Green Cleaner is an all natural way to treat spider mites, broad mites, russet mites, aphids, whiteflies, and powdery mildew! It can even be used right up to harvest. Green Cleaner is a safe, all natural, and effective way to treat Spider Mites and their eggs! Green Cleaner is also very effective against aphids, whiteflies, broad mites, russet mites, AND powdery mildew. 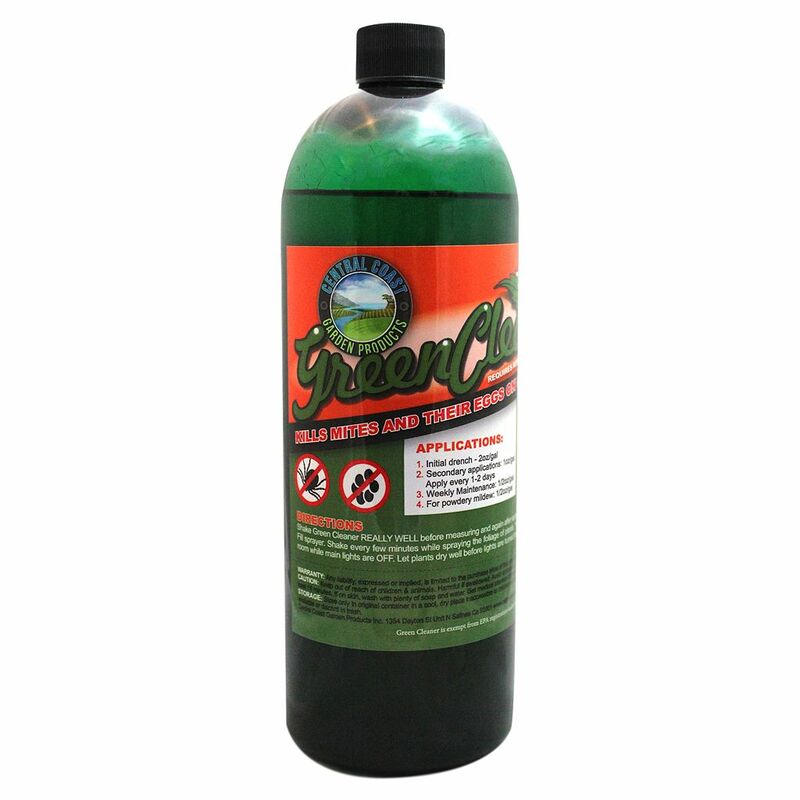 Green Cleaner works by covering the pests in soybean oil and then immobilizing them with sodium lauryl sulfate. Insects breathe throughout their entire exoskeleton and thus being coated with an oil is extremely detrimental. Not being able to move increases the efficacy of the insecticide by preventing insects from removing the suffocating layer. The addition of a small amount of alcohol also works to dry out and desiccate the bugs. Green Cleaner also works extremely well on powdery mildew. The soybean oil covers the fungus and prevents the release of spores while alcohol dries out the fungus and citric acid hits it with a low pH. This combination knocks powdery mildew right out! 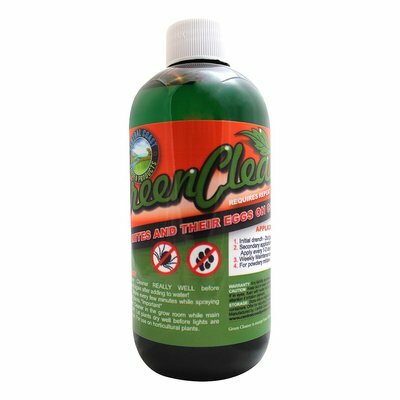 Green Cleaner can be used from the beginning til the end of a harvest and is gentle enough to dip cuttings into! 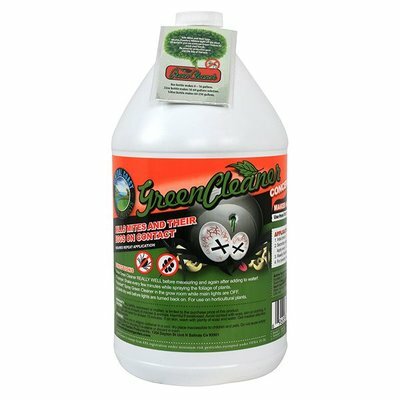 We recommend thoroughly coating all surfaces of the plants you're treating with Green Cleaner as it only works on those insects it comes in contact with. We also recommend testing Green Cleaner on a small part of the plant you're treating or one or two plants out of your entire crop.